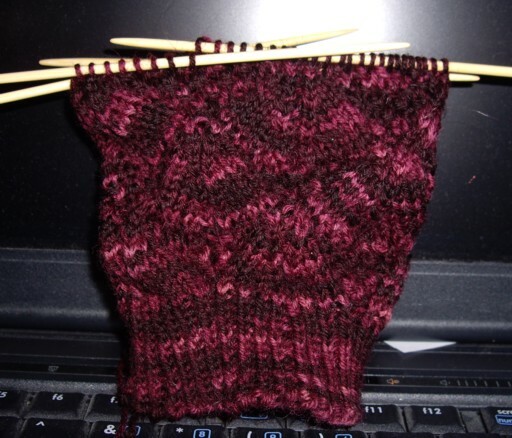 My October Esther sock is coming along nicely, though I am finding knitting on two circulars rather tedious. 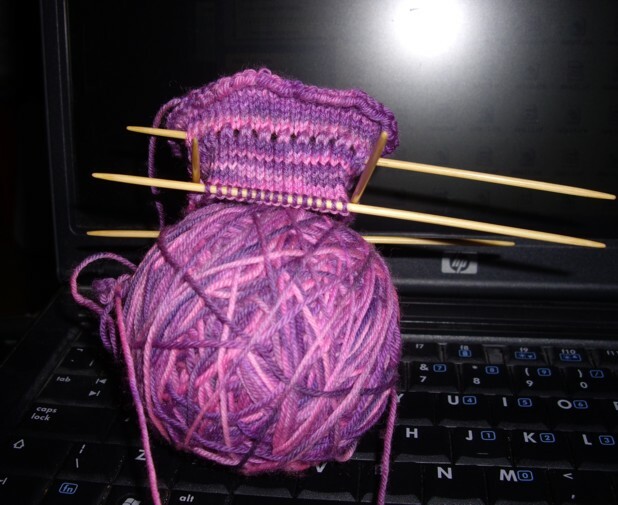 IMO using DPNs is far and away faster, though using circulars does allow me to knit two at a time, so I will persevere. 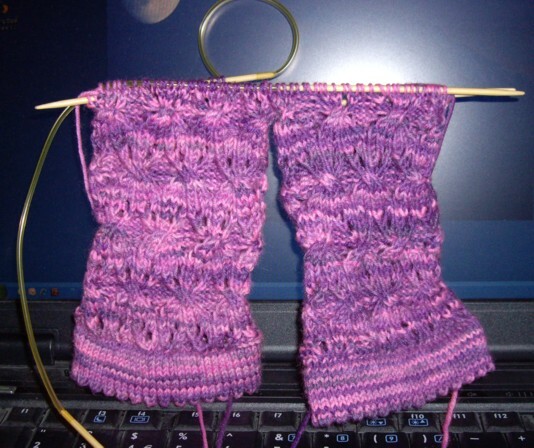 Just about to start on the heel now, so with a following wind, they should be all done by the end of the month. The pattern is coming out very nicely, though you can’t see it very well in the picture. I’ve alternated the direction of the cables so that there is more of a knotwork feel to the pattern. I hadn’t intended to do this originally, but reached the second cable and thought it might be more fun to do it this way.